You have obviously suffered an injury if you have contacted a personal injury lawyer, so it is important for your health and well-being as well as for your case if you keep all your appointments and do all the things the doctor tells you to do. If you don’t, this can impact your case in a negative way by showing the other side that you must not be that injured. If they do not think you are seriously injured, they will be able to argue that you don’t need any compensation. If you have been hurt in an accident, it can be tempting to want to tell your friends and family all about your case. However, your insurance company might try to find reasons not to give you the compensation you deserve and use the things you say and do in their favor. It can also be tempting to talk or post about your injuries and case online. However, the insurance company will try to use anything you post or share as a way to prove that you are not as injured or suffering as much as you claim. Posting pictures of you dancing with friends or going on a trip while you have an injury claim, may impact your case in a negative way. Since you have been injured, there will be paperwork and medical documents that you need to fill out for your case. It is important that you provide your lawyer with these documents as soon as possible so they will be able to meet deadlines for your case and keep your case moving along as smoothly as possible. If your lawyer is not able to receive these documents on time, your case might be delayed, along with any compensation you may receive. When you are injured in an accident and need compensation to pay your bills, being patient and waiting can be difficult. It is important to remember that building a case can take time because of the paperwork, tests and investigations needed to prove that you need compensation for your claim. Cases can be confusing and complex, if you do not understand something, ask. Your attorney is there to help and guide you along the way. Your personal injury lawyer has the knowledge and experience to help you. It is important to trust and to listen to your attorney. 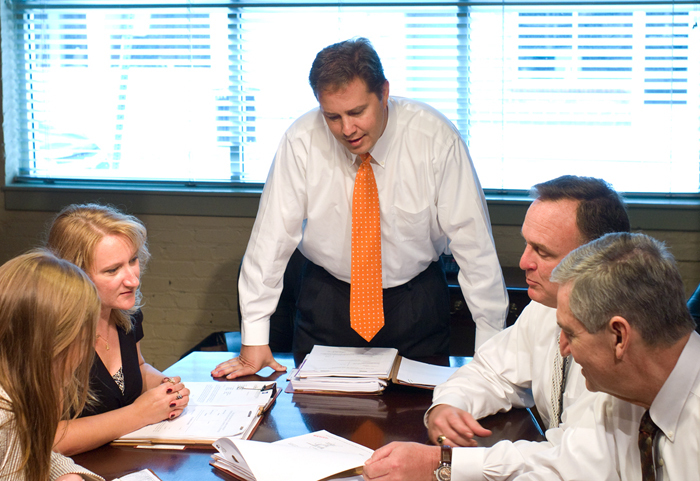 They may ask you to do or not do something in order to achieve the best outcome for your case. Ask for explanations if something is not clear and then trust that your lawyer is making recommendations based on his or her knowledge of the law. If you have been injured in a car accident, contact one of our experienced personal injury attorneys with the Higgins Firm. We will work with you to get you the compensation you deserve.